“We’re happy with that. I always like saving ground, especially on the turf, and we’ll go from there. I always like to be the favorite, because it feels like you’re in the right spot if you’re the favorite. ~ Elliott Walden on Yoshida’s draw. And it’s why Cordero is often asked to compare the two. While neither Ortiz has yet to win a Kentucky Derby, most figure it’s only a matter of time. They’ve won just about everything else at an age when most riders haven’t yet reached they prime. Breeders’ Cup victories? Check and check for Irad and Jose. The Belmont Stakes, final leg of the Triple Crown? Check and check again. 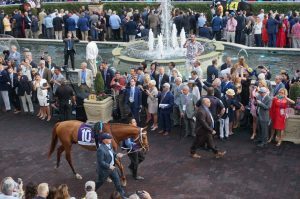 HALLANDALE BEACH, FL – After watching a Santa Anita turf stakes on New Year’s Day, 2018, Michael Iavarone got the itch again. And he’s soothed it in a big way with the purchase of Next Shares, who will start in the inaugural running of the $7 million Pegasus World Cup Turf Invitational (G1) Saturday at Gulfstream Park. One of the principles of the IEAH Stables syndicate that campaigned 2008 Kentucky Derby and Preakness winner Big Brown and a slew of other Grade 1 winners, Iavarone was out of the horse ownership for five years following IEAH’s financial implosion. He was dabbling into re-entry when he saw a horse close from well back to finish second in a $100,000 stakes over Santa Anita’s downhill turf course. 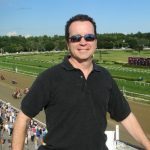 Iavarone immediately called his friend Nick Sallusto, the bloodstock agent who helped IEAH buy many of its stars, including Big Brown. With Next Shares a 6-year-old gelding with no breeding future, Iavarone was simply looking for a good horse who could run in good races. His owners had the same idea, having just purchased Next Shares for $190,000 at Keeneland’s 2017 November sale after the horse had won an Aqueduct allowance race.